Celebrate Chinese New Year 2018, the Year of the Dog. 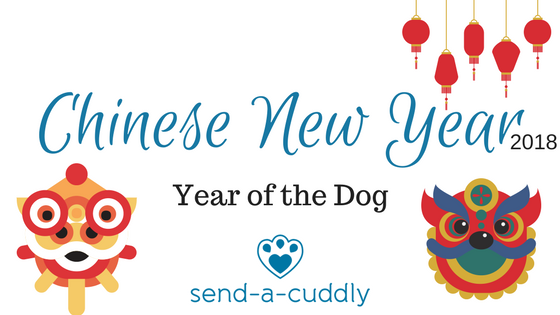 We really don’t need an excuse to send a cute cuddly dog, but with the Chinese New Year about to start, and it celebrating our four legged friends – we have one! Interested in finding out more about the most important festival in the Chinese calendar? Read on. Why is the date different each year? There is a very simple explanation as to why the Chinese new year’s date changes each year. It is based on the lunar calendar rather than the solar calendar. The difference being that a lunar month is two days shorter, with an extra month added every couple of years. Chinese New Year always starts between the end of January and the middle of February. This year’s date is the 16th of February with celebrations taking place in Chinese communities across the world for 15 days. Why do animals represent the years? Every year an animal is chosen from the Zodiac 12-year calendar, with this year’s being the 10th sign, our favourite and most popular domestic pet, the dog. 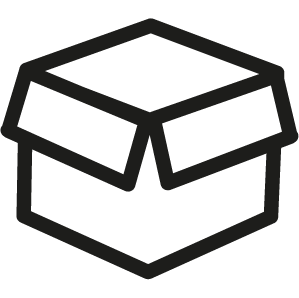 As you are sure to see, we have a wonderful collection of soft and cute dogs of all shapes and sizes, all perfect for sending for any occasion. Those born in years of the dog are said to be very independent, decisive, loyal and sincere! Some famous names of those born in year of dogs include Elvis Presley (hound dog? ), Donald Trump, Winston Churchill, and Madonna. As mentioned, this is the most important celebration in the Chinese calendar, with New Year’s Eve being a time for family reunions and spending time with loved ones. Firecrackers and fireworks are let off at midnight to mark the arrival of the new year. New Year’s Day is marked by families gathering and cleaning their houses and sweeping away bad fortune and luck. Children are often given lucky red envelopes with money inside. 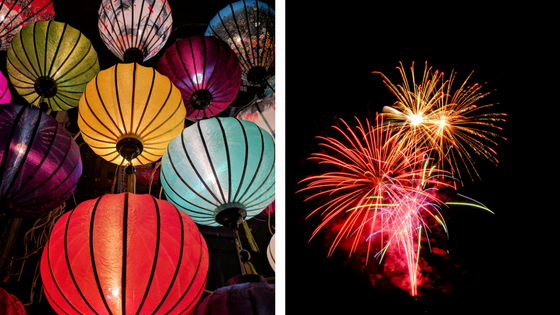 There are countless events happening across the UK where you can experience the thrilling celebrations for yourself, and of course sample lots of Chinese culture. Interested in getting your children involved with the new year celebrations? Click here for some instructions on how to make a fun mask! Celebrate the year of the dog with us! Let’s celebrate dogs together in 2018 by sending one of our perfect pooches to a loved one to mark the Chinese new year. What a pawfect present for someone! Heart emoji meanings for Valentine’s Day. The Send a Cuddly Guide to Christmas Gifts.